His Eminence with the OCMC Teaching team and priests that took part in the Clergy retreat at St. Spryidon Orthodox Parish Nsinze. 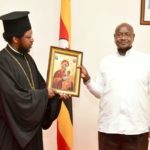 Uganda is the first country below south of the Sahara on the African continent where the Orthodox faith germinated among the indigenous Africans in 1929. 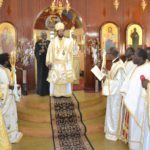 Gradually, the faith was echoed to many parts of the country from central Buganda to the East, North, West and beyond in the Eastern Kenya, Tanzania, Rwanda and Burundi. 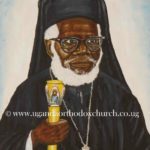 The government of Uganda recognized the Orthodox faith in 1946. 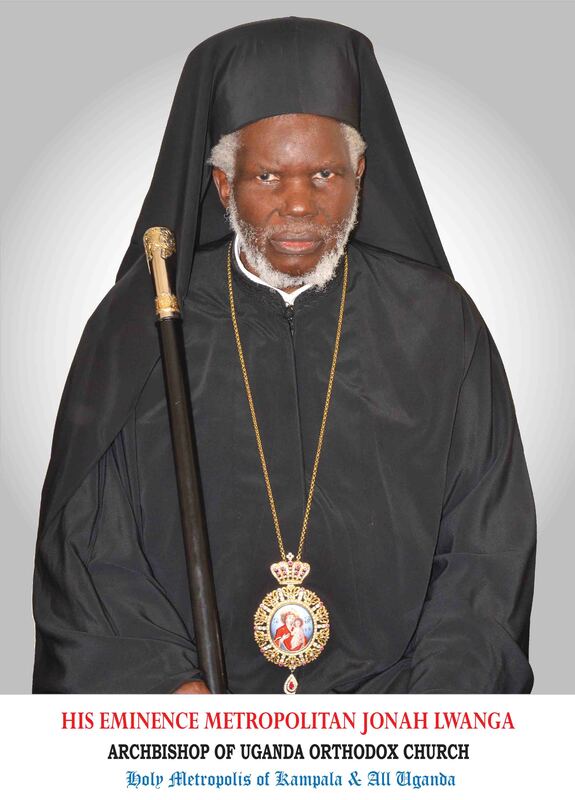 Currently the Orthodox faith in Uganda is headed by Metropolitan Jonah Lwanga and the Metropolis is located at Namungoona a suburb of the capital city Kampala (6kms on Hoima road). 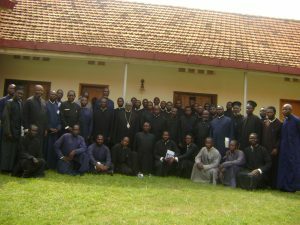 The clergy consists a team of 76 priests and 5 deacons. 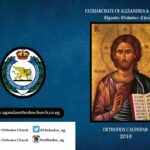 There are over 100 communities, 41 brick and mortars churches, 17 medical clinics and one Holy Cross Orthodox Hospital.